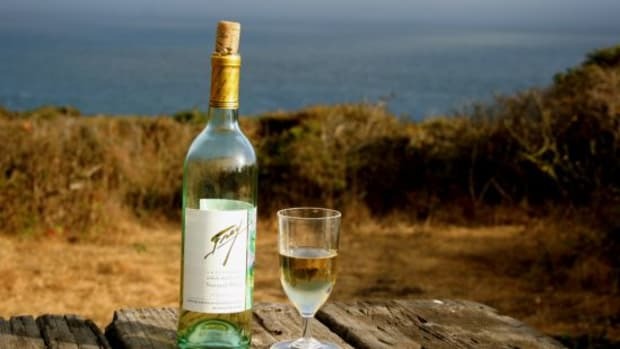 Consumed in moderation, white wine can improve lung function. Drinking a modest amount of red wine (no more than one glass per day) increases cardiac output and arterial elasticity. Drinking even one glass of red wine a week may reduce the risk of senility or Alzheimer&apos;s disease. 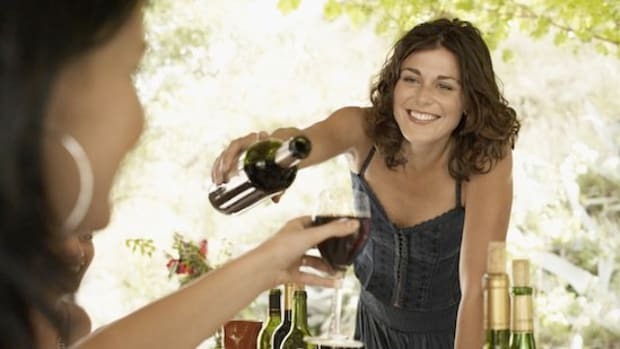 Some studies show wine helps eradicate the bacteria that cause peptic ulcers. 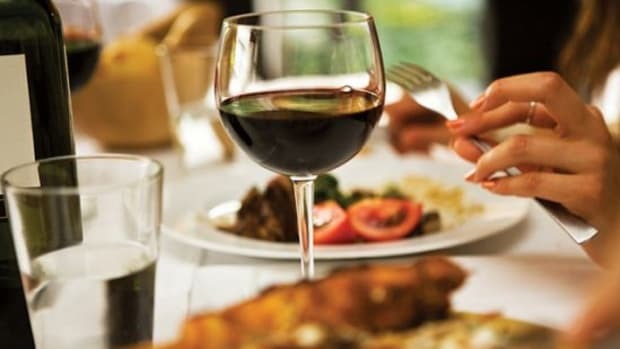 Note: Pregnant women should avoid consumption of wine and other alcoholic beverages, according to the National Institute on Alcohol Abuse and Alcoholism. Over the last few decades, the push for more responsible, sustainable farming practices, which reject the use of synthetic soil nutrients and pesticides, has extended to grape-growing and wine production. By choosing wines produced from organically grown grapes, you support agricultural communities that refuse to pollute soil and water supplies. Instead, organic growers focus on prevention when it comes to pest control: continuous monitoring of crops, maintaining vine strength, increasing microbial activity in soil, growing weed-fighting and flowering plants that attract birds and insects, and using beneficial insects like ladybugs and hoverflies to consume unwanted predators. As for organic wine production, use of sulfites-compounds that control bacterial growth and ensure stability-are a key issue. Winemakers have added sulfites for centuries because wine is extremely fragile without them, but an organic wine that carries the "organic" label must be made from 100% certified organic grapes and contain no added sulfites. "The exception is sulfur dioxide-the simplest form of sulfite and a natural byproduct of the fermentation process," says organic wine expert Bruno P. Allaire, president of Dynamic Imports Corp. in Santa Monica, California. 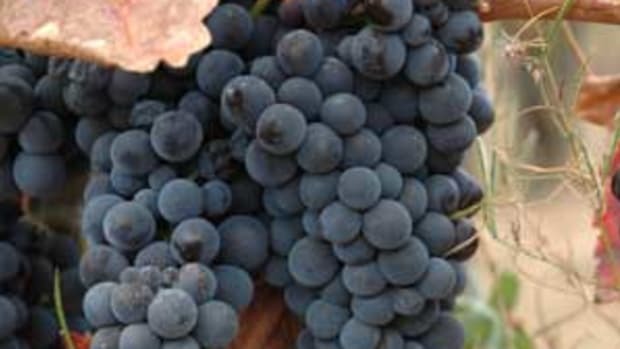 "The organic winemaker may only add up to 100 parts per million-no more. All of the other additives are still forbidden," he tells OrganicAuthority.com. "Sulfites stabilize wine and make it possible for extended shelf life," explains James Caudill of Brown-Forman Wines, based in San Rafael, California (organic wine brands include Bonterra and Fetzer Vineyards). "Most winemakers use the smallest amount possible, regardless of standards, to achieve wines that can be enjoyed over time," he tells OrganicAuthority.com. Many wine enthusiasts believe organic wine varieties are more flavorful because they&apos;re made from grapes raised on healthier soil. Allaire finds them to be "a much more authentic representation of the place where they were made than conventionally grown wines currently available on the market from the same regions." 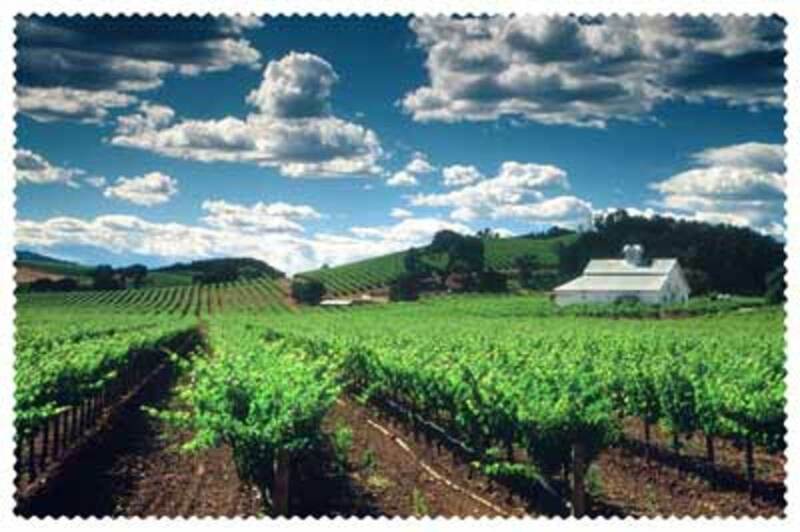 Two of his favorite organic vineyards are Yorkville Cellars and Barra of Mendocino. 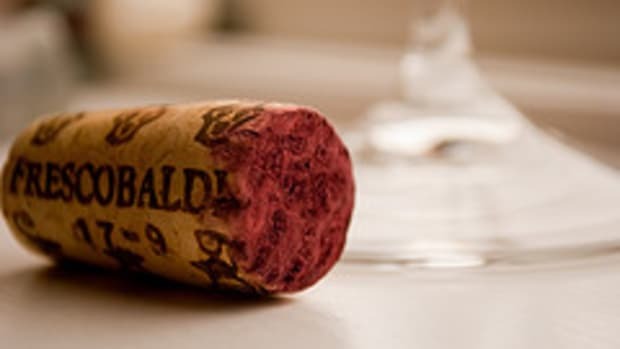 "I find the flavors are cleaner, clearer, more intense, and the wines have more texture," adds wine writer Monty Waldin, who contributed the section on organic wines to the newly released Wine Report 2005. "First, you are not coating the vines or the soil with so many chemicals," he tells OrganicAuthority.com. "Organics is about prevention rather than cure. The vine is encouraged to fight its own battles, and this leads to grapes with smaller berries and thicker skins. The skins are thus more inherently resistant to pest attack, and they contain more flavor and color." Ironically, however, some vineyards are afraid to label their wines "organic" because they fear this will adversely affect sales. "As best as I can surmise, it stems from the same mindset that has hindered the growth of organic produce in many parts of the country," says Amy Reiley, the second U.S. woman to earn the title of Master of Gastronomy from France&apos;s prestigious Le Cordon Bleu, and the creator of Amy Reiley&apos;s Pocket Vineyard, a comprehensive wine program that runs on personal digital assistants (PDAs). "When &apos;organic&apos; came into its own as a buzzword, it was in reference to beat-up and incredibly expensive little bags of apples at the back of a grocer&apos;s produce section," she tells OrganicAuthority.com. "Similarly, the less than a handful of wines trying to use &apos;organic&apos; in their marketing scheme were not among the greatest wines. They were all OK wines, but probably a bit overpriced for their quality. It seems that we, as consumers, can have trouble moving past first impressions," adds Reiley, who enjoys wines from Frog&apos;s Leap Winery ("a real trailblazer for the Napa Valley in their wholehearted embrace of organics") and Ceago ("owned by the family that originally founded Fetzer, one of the best-known American producers of organics"). "Early attempts at making organic wine often resulted in products that were not very satisfactory," Caudill agrees. "Memories run deep, and marketers are afraid people will prejudge the wines against that older standard." Just ask Tony Princiotta, general manager and wine buyer for the prestigious Cheese Store of Beverly Hills, who says the old organic wines tasted like Diet Pepsi. Organic wines also "don&apos;t have a major presence in the shelf set of most grocery stores or other retail outlets, and some marketers worry that the wines will be overlooked," Caudill adds. Others simply believe that organic labeling creates confusion, "raising more questions than it answers." Allaire agrees that organic wines of the late 1980s and early &apos;90s were "absolutely atrocious" and "undrinkable." Much has changed, thanks to advances in winemaking technology and grape quality. 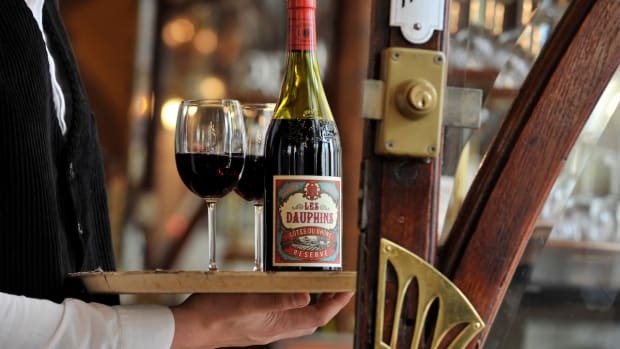 "Even so, while the quality of organic wines has improved, the stigma associated with the early poor-tasting organic wines has not gone away," he says. "The quality of non-sulfite-added organic wines has gotten better since the early days, but it is still challenging, at best, to make a great wine without adding any sulfites."